Benicar, also known as Olmesartan, is used to treat hypertension or high blood pressure. Used alone or with other medicines, Benicar works by decreasing the effectiveness of a chemical known as angiotensin II, which normally causes blood vessels to narrow or constrict. As a result, Benicar causes blood vessels to relax, lowering blood pressure. Recently, Benicar has been linked to some pretty serious side effects. Our attorneys are now reviewing potential lawsuits against Daiichi Sankyo, manufacturer of Benicar. Research and studies revealed that consumers taking Benicar were experiencing symptoms similar to celiac disease, including unexplained chronic diarrhea, weight loss, and enteropathy. But, whereas those with celiac disease can control these symptoms with a gluten-free lifestyle, those taking Benicar/Azor/Tribenzor did not improve until they discontinued their use. 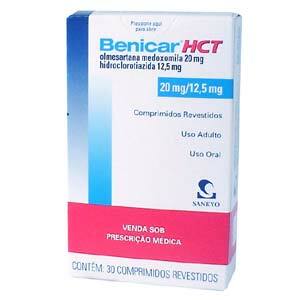 Studies revealed that patients taking Benicar gained an average of 27 pounds after discontinuing their use. The last problem on that list, colon perforation, is the latest and maybe the biggest. What happens is a hole develops through the wall of the colon. We see these cases a lot during surgery when a doctor makes a mistake during abdominal surgery. Often, the problem has to be solved with surgery. It is definitely not what you sign up for when you want to take a drug to reduce high blood pressure. In July 2013, this prompted the FDA to issue a warning that Benicar can cause sprue-like enteropathy, including severe, chronic diarrhea, and substantial weight loss. Changes to the Benicare label to include this concern were then approved by the FDA. But, these warnings and changes came more than ten years after Benicar was approved. So the obvious question: what took them so long? Even before the FDA finally stepped up, the Mayo Clinic was sounding the alarm of concern with a study of people that went to the hospital with celiac-like disease symptoms. Although the researchers don’t know what triggered these enteropathy symptoms, we knew they were on Benicar. Clearly, one of the co-authors speculated that it could be related to an immune response – a process by which the body protects itself from disease. Olmesartan medoxomil, which is Benicar, Benicar HCT, Azor, and Tribenzor, is an an angiotensin II receptor blocker. Many doctors and the FDA believe this to be a drug-specific adverse effect rather than a class effect pertaining to all angiotensin II receptor blocker. Should I Get Off Benicar? You just went past our pay grade. That is an issue for you and your doctor who knows the details of your medical condition and… is actually a doctor. Don’t take medical advice from a lawyer. But should you raise these issues with your doctor? Absolutely. How Much Will I Get for My Benicar Class Action Case? Honestly, no one knows yet. We still don’t know all of the evidence that is going to come out. In this litigation, every case will be different. It will be hard to find a one-size-fits-all settlement because the injuries are very different. The key variables are going to be the extent to which your injuries can be pinned on Benicar (which should not be too hard) and the severity of the injuries. If your injuries resolved quickly and you have no permanent issues, these are not going to be large cases. If you are still having lingering effects, you are likely to have a much bigger case. But time will tell. It is still early in the game. These Benicar lawsuits are just getting off the ground. In February, 2014, a man in Texas filed the first lawsuit in the country (of which we are aware) complaining of these celica-like side effects. The attorneys at Miller & Zois are here to speak with you. If you believe that you or a loved one may have experienced these negative side effects as a result of having taken Benicar, you may be entitled to financial compensation. Contact us now at 1.800.553.8082 or online here to speak to an attorney and learn your rights in this matter.